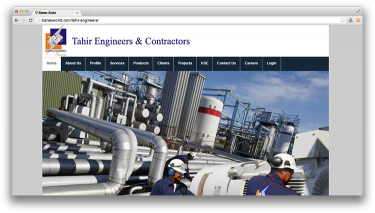 Description Tahir Engineers & Contractors is a group of highly qualified team involved in electrical, Instrumentation, Civil & Mechanical works. Our Specialty is Electrical & Instrumentation works pertaining to Oil & Gas sector i.e. Hazardous & Classified areas. Address Suite # 702- Tahir Plaza, 20/A, KCHSU, Block # 7-8, Karachi.